We walked round the local nature reserve this morning and ended up in one of the hides. 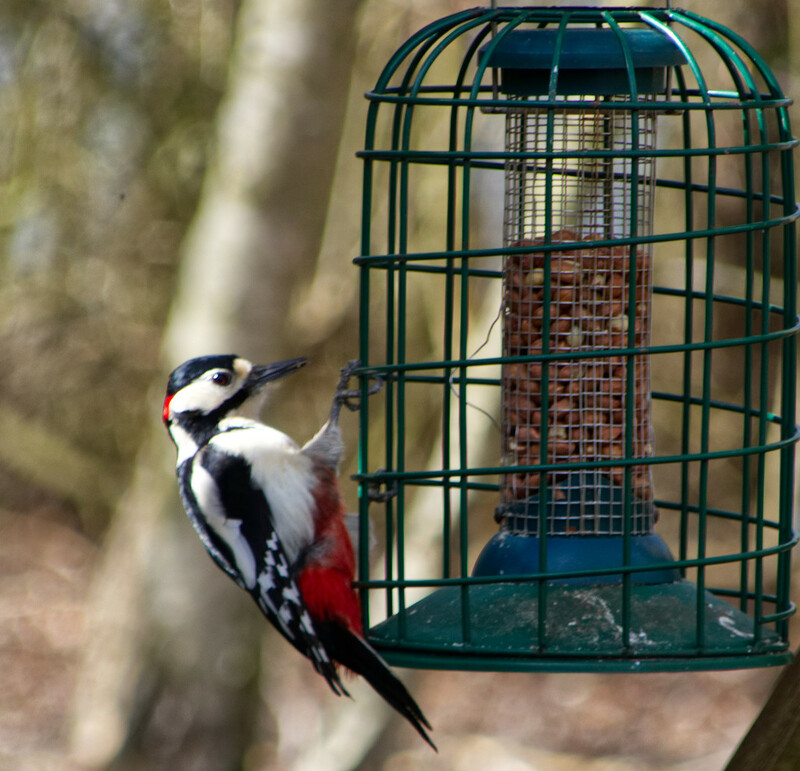 There were squirrels in the bird table but that didn't stop this woodpecker getting some peanuts. @beryl @seattlite @gijsje Thank you so much for your lovely comments and the favs. I was so lucky to get this. @fbailey @carole_sandford Thank you. I really appreciate your kind comments and favs. This is interesting to me as we have a woodpecker that looks so similar but it doesn't have the red on the underside. Good shot! Excellent capture with great details. @olivetreeann Thanks Ann. I think this is a spotted woodpecker but I'm not sure. Well done for a woodpecker capture! @harbie @ziggy77 Thank you for your comments and for the fav Harbie. They are appreciated.